In June 2017 HOPE Coffee partnered with two churches in Puebla, Mexico, to construct a home for Martina, the mother of two teen boys. She did not have a permanent place to live and her existing living conditions were very poor. She also did not have faith in Jesus. Pastor Juan Rodriguez of the Obreros del Rey church had heard of Martina’s situation and was moved by the Spirit to help her and her two boys. 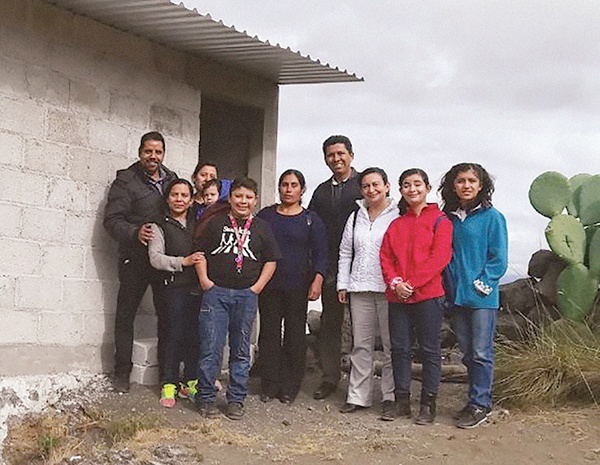 Pastor Juan engaged members of his church, as well as one other church in the community, to rally together to show the love of Christ by building this family a house. As work began on Martina’s house, many who had dedicated their time and talents to the project were impacted. Over the summer the house began to take shape. Each week Martina and her boys witnessed the love shown to them through these two churches, and they began to realize the source of their love. Attending one of the church services in early September, Martina and her boys put their faith in Christ! Pastor Juan saw a need for shelter, and love filled his heart to share with a single mother and her two boys. HOPE Coffee provided the resources to build the shelter. And as a result, two churches were united in their efforts, many of those involved increased their faith, and Martina and her teen boys received a new home and eternal life.